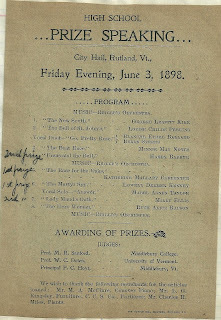 Program for High School Prize Speaking, City Hall, Rutland, Vermont, Friday Evening, June 3, 1898. We wish to thank the following merchants for the articles loaded: Mr. M. A. McClure, Conover Piano; Mr. L. G. Kingsley, Furniture; C. C. S. Co., Portieres; Mr. Charles H. Miles, Plants. 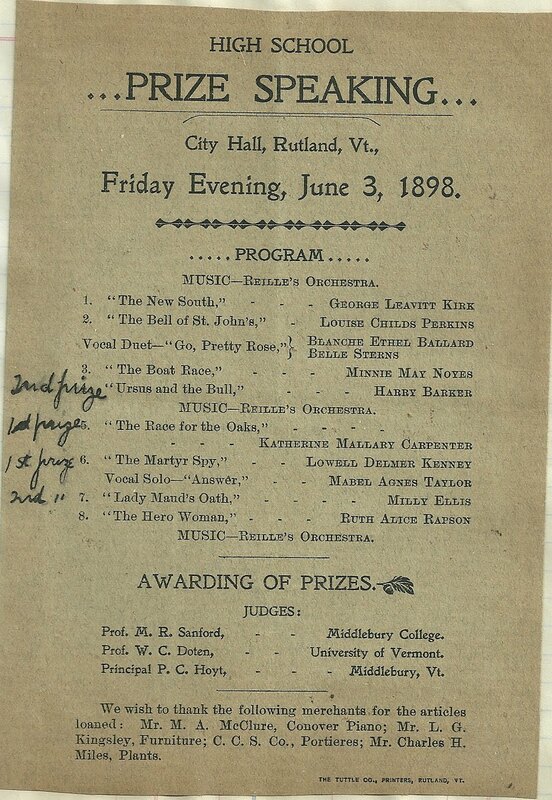 Handwritten notations indicate that the winners of the First Prizes were #s 5 and 6. Winners of the Second Prizes were #s 4 and 7.